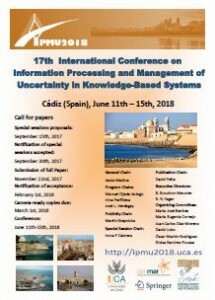 IPMU 2018 will be held in the facilities of the UCA in downtown Cádiz (Spain). Flight to Madrid. From Barajas Airport you can take a train to Atocha Rail Station, from 5.59 to 22.28 hours, each 30 minutes and the duration is 25 minutes. In Atocha Rail Station you can take a train to Cádiz (Duration of the trains: 4 hours). Link to the Rail Station company. Flight to Sevilla. From Sevilla Airport you can take a bus to Santa Justa Rail Station, from 5:20 to 00:45 hours, each 20 minutes aprox. and the duration is 30 minutes. Special Airport Line Info. In Santa Justa Rail Station you can take a train to Cádiz (Duration of the trains: 1h 40 min.) Link to the Rail Station company. Flight to Jerez de la Frontera and then take a train o bus to Cádiz. You can see the current timetable in this link. You can also take a taxi to Cádiz. We provide a system to share the taxis. 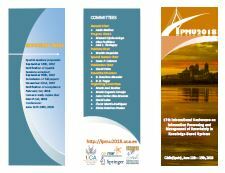 The conference will be held at 1,6 Km from the Cádiz Rail Station (last stop of the train). Lotfi A. Zadeh was one of its co-founders and contributed to each of its editions between 1986 and 2008. In the next IPMU edition, a well-deserved homage will be paid to his scientific work.